In keeping with tradition, I'm a month late buying my Joann's Spring/Summer coupons. I think it's the first warm day from winter drives me outside. Haven't been to Joann's for months. 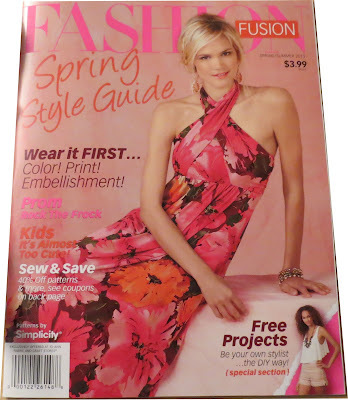 I found my favorite Spring/Summer 2013 Fashion Fusion magazine. My shop places it on top of the pattern cabinets. I buy it just for the coupons on the back. You get two 50% off and 4 40% off coupons. 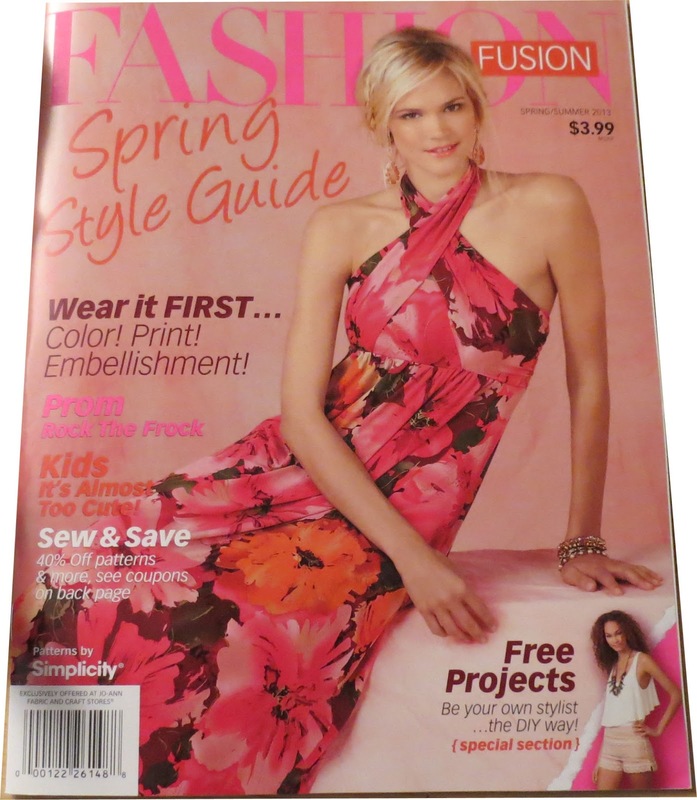 Recently, the price of the magazines had been raised to $3.99. I look forward to finding things not on sale at Joann's to use my coupons. However, I also use them at Michael's so every bit helps. These coupons are good only for a short period of time. They are valid 2/24/13-6/22/13 Happy shopping! I always buy these too. The first thing I do when I get home is to rip off the the back cover with the coupons and trash the rest, lol.